I am trying to use them in a book I'm writing but I can't find a lot of details regarding Leprechauns. Do they have significant power, do they grant wishes, and if so with what magic? Any answers will help. Please don't answer if you don't know anything about leprechauns. Only if you know or can point me in the right direction. Leprechauns aren't a great option in that they're highly location dependent. Of course if your story is entirely set in Ireland that's no problem, but if you want to be anywhere else, no leprechauns. Their gold is not magical, it's treasure buried during an ancient war that they happen to know the location of. All you need to do is dig at the bottom of the rainbow. They do however grant wishes if captured, being magical creatures. They're otherwise a good wildcard though, one could consider them chaotic neutral. In terms of using a magical creature for your own purposes with your own mythology, you're better laying off the leprechauns. You could pick something from the less well known Orkney fairy folk, though they're almost universally malicious, or a more obscure Irish fairy like the Grogoch, you could even try rehabilitating the household fairy or hobgoblin. Folklaw is knee deep in miscellaneous magical creatures without the pitfalls and fixed associations of leprechauns. In his On Generation and Corruption, Aristotle related each of the four elements to two of the four sensible qualities: Fire is both hot and dry. Air is both hot and wet (for air is like vapor, ἀτμὶς). Water is both cold and wet. Earth is both cold and dry. 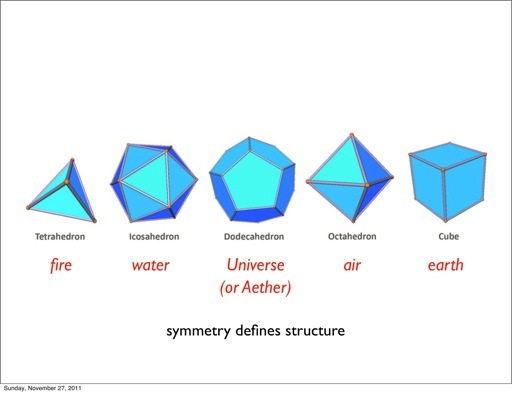 ... Aristotle added a fifth element, aether, as the quintessence, reasoning that whereas fire, earth, air, and water were earthly and corruptible, since no changes had been perceived in the heavenly regions, the stars cannot be made out of any of the four elements but must be made of a different, unchangeable, heavenly substance. And with the philosopher's stone we have made a line from the 4 elements to gold. The Philosopher's Stone famously could turn base metals to gold. This would account for why the leprechauns have so much gold. But as a manifestation of Quintessence the Philospher's Stone was a lot more than that, to the point where the gold piece seems like a side note or maybe even a joke (which seems leprechaunish). The Stone was power (celestial power?) and maybe even immortality, as the stars and moon are immortal and unchanging. I must say that leprechauns as commonly depicted seem an unlikely match for things like Aether and the Philosopher's Stone. But at the end of the day, they are faeries and thing about faeries is that they are often not as they appear. I think this depends on how you define "power". It certainly seems that Leprechauns' access to gold gives them power in that mankind has a sort of mania for gold. Specifically, the Leprechaun can use gold as an enticement or reward, and possession of gold gives them status. The mythology of Leprechauns seems to be fairly late, deriving mostly from recent folklore. What is sásq'ets, from Halkomelem myths? Are there any ancient unicorn myths that originated from Tibet or its bordering regions? How can a melusine manage to disguise their true appearance? Were events from the sagas or eddas ever used a precedents at medieval Althings? What creatures aren't from mythology and just J.R.R Tolkien's world? Is there a difference between a gold fur and a white fur kitsune? Gods from different cultures accepted in the same universe?